Pune Tours ensures their customers the best Pune Shirdi Taxi services. We are best known for our punctuality and friendly culture. One can feel comfortable and safe while traveling with us. 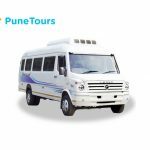 The key motto of Pune Tours is to make their customers feel at peace, and we try to create a memorable journey for them. In case of any problem, you can contact our 24*7 customer-care services. We are just a call away, with instant solutions to problems. We make sure our drivers make the best relationship with our customers and they choose to travel with us over and again. 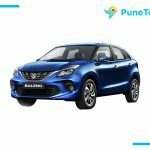 We are well-known among the customers in Pune and Shirdi as reputed car hire providers. We are specialized for Car hire services from Pune to Shirdi and Shirdi to Pune. Pune is the nearest airport to Shirdi. The airport is a Civil Enclave operated by the Airports Authority of India. The airport serves both domestic and international flights. Pune to Shirdi by road is 185 km and the maximum time that would be taken would be 4 hours. You can rely on our car rental service as we are popular among our customers because of our reliable culture. We have a large number of fleets to meet our client’s requirements. 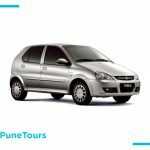 We offer our car hire services from Pune to Shirdi at an affordable price. The drivers that we provided are professional and friendly. They know the route and are well-versed with English, Hindi, and Marathi. We offer 24*7 customer support and would try to resolve any issues that the customers would face for us. We ensure transparent billing of our Pune to Shirdi cab service by providing the fare breakup in advance. Our drivers are well trained with premium and luxury cars, and are well familiar with the routes. Visit https://punetours.com now or call us on +91 7721 91 2222. You can also refer to various other trips that we offer by clicking on Tours near Pune. Visit our site and get to know the various affordable offers that we give for our clients, we offer variety of fleets you just need to tell us your requirement and we would be happy to take you for a ride. Renting a Tata winger in Pune is also a great option if you are bigger group as it can accommodate at least 8-9 passengers comfortably. We assure you that your Pune Shirdi trip will be safe and secure and you will definitely choose us once again. So, what are you waiting for?? Choose us, and ride now.